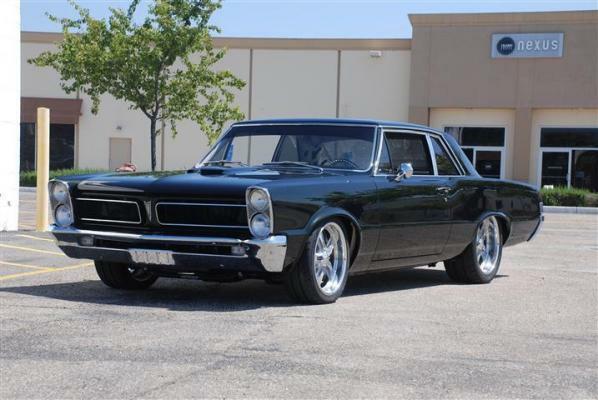 1965 GTO clone features a 500 cubic inch True Pontiac Engine with a Vortech supercharger, a custom Bones Fab front accessory drive. Cooled by a Griffin radiator with Spal fans. Backed by a 4180E trans. A Currie 9 inch Ford rear end with 3.70 gears. 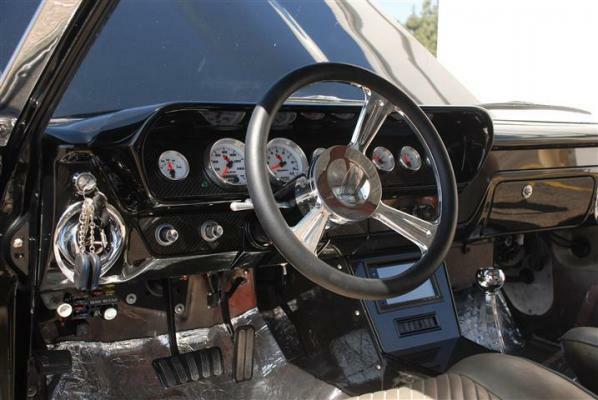 Interior features custom carbon inserts, Autometer c-2 gauges, custom center console, full leather interior and Vintage Air to keep you cool. Super nice Gold/Green paint by Cal Custom. Rides on 18 and 20 inch Budnik wheels. This GTO is a real beauty!